We should welcome a list of the games, flashy or otherwise, which Gossip is deemed to have invented. But what actually appeared in Gossip’s output? 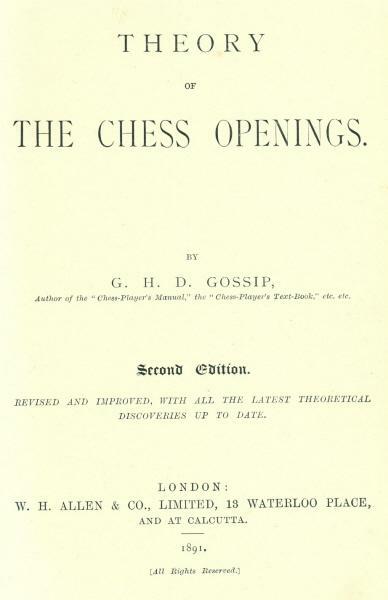 Page v of the 1891 edition of his Theory of the Chess Openings contained a biographical note on him, 16 lines long. Far from the Melbourne, 1885 result being presented as ‘the summit of his achievement’, it was simply one of 16 deeds listed. ‘There was a great stir and commotion in the chess literary circles of England when this book made its first appearance in London, about 14 years ago, and quite a newspaper raid was made on the author and his work by various writers in different periodicals. In justice we feel bound to say that the author had brought a great deal of this adverse criticism upon himself by some reprehensible peccadillos. 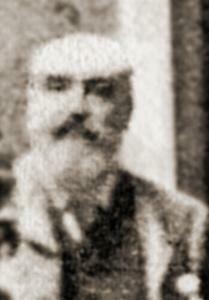 Mr Gossip had given a handle to ridicule by according to himself on the front page titles and airs as the winner of an insignificant correspondence tournament for which only a few obscurities had entered, and by describing himself as an active or ex-member of various clubs for which, of course, he deserved no more credit than thousands of other chessplayers who join chess societies and pay their annual dues. We are glad to see, by the way, that most of those pompous announcements have been omitted in the new edition. More serious, however, was the charge against the author in reference to his own games which he published in the Manual, and it is only just to say that he had richly deserved at least some of the sharp criticisms that were directed against him in that respect. For Mr Gossip had practiced the unfair ruse of carefully preserving stray skittle games which he had happened to win or draw, generally after many defeats, against masters whose public records stood far above his own, and who had not the slightest warning of his intention of publishing such games until they found those unprepared efforts immortalized in his book as specimens of relative skill either in the analysis or in the game collections without the least acknowledgment of their own victories, thus leading the public to believe that the author stood on a par with them, or was even their superior. Gossip then replied to the accusation of having invented games (see his words quoted above). He concluded by quoting a number of critics who he said had noticed his book favourably, including Löwenthal on pages 297-304 of the January 1875 City of London Chess Magazine. Our own reading of Löwenthal’s review is that it was considerably more negative than Gossip suggested. 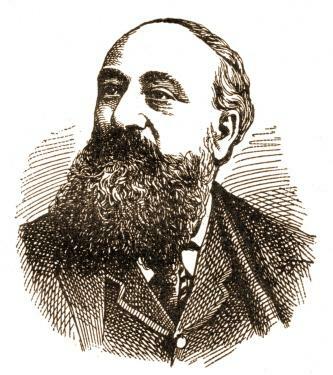 Steinitz’s response (on pages 204-205 of the July 1888 International Chess Magazine) acknowledged that Gossip ‘has some just cause of complaint especially in reference to a writer, now deceased, who within a few days after the publication of the book which had cost the author two years of labor, assumed to consign the whole work of over 800 pages to a sweeping condemnation’. This seems to be a reference to John Wisker’s review of the Manual in the Sportsman. See page 10 of Cathy Chua’s 1998 book Australian Chess at the Top (Oaklands Park, 1998). As G.H. Diggle’s BCM article pointed out, although P.W. Sergeant referred in 1916 to ‘the late G.H.D. Gossip’ (i.e. on page 1 of the January 1916 BCM), it was not until the mid-1960s that the date of Gossip’s demise became known to the chess world. On page 306 of the October 1964 BCM David Hooper reported that Gossip had died of heart disease at the Railway Hotel, Liphook, England on 11 May 1907. One final curiosity. George Hatfeild Dingley Gossip left Australia in 1888, and we have yet to find any reference to his returning there. Yet a website gives details of a ‘George Hatfield Dingley Gossip’ born in Sydney in 1897. C.N. 3241 above criticized on three counts the disparaging treatment of G.H.D. Gossip on page 168 of The Even More Complete Chess Addict by M. Fox and R. James. On pages 58-59 of the May 2004 CHESS the co-authors accept our criticisms and state that their only defence is that they used to trust unquestioningly one of the writers of The Oxford Companion to Chess, their source. The third of our strictures was that, taking its cue from the Companion, The Even More Complete Chess Addict mocked Gossip for presenting his modest Melbourne, 1885 result as ‘the summit of his achievement’. Although the CHESS item gives the impression of quoting our full rebuttal from C.N. 3241, it omits our reply on this third matter, i.e. the paragraph in which we pointed out that Gossip’s book Theory of the Chess Openings gave his Melbourne, 1885 result as merely one deed in a list 16. In C.N. 4883 Michael Clapham (Ipswich, England) presented a photograph of Gossip’s house in that town. Addition on 27 November 2008: an article by G.H. Diggle on page 13 of the 1 April 1983 Newsflash which was subsequently published on pages 93-94 of his book Chess Characters (Geneva, 1984). 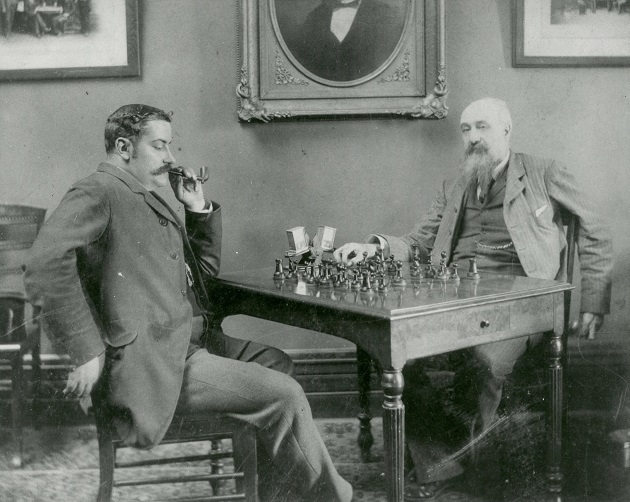 ‘Few men who have made Chess their profession have been dogged by such persistent bad fortune as that courageous but ill-starred player, writer and controversialist George Hatfield [Hatfeild] Dingley Gossip (1841-1907). Some of it was indeed due to his over-estimate of himself – he tried to climb “the greasy pole” much too fast. His 900-page Chess Player’s Manual, 1874, into which he put a tremendous amount of work, failed utterly, partly because his “Illustrative Games” included a large number of his own wins (some of doubtful authenticity) against some of the very same Masters who “reviewed” his book! He pluckily persevered in 1879 with The Theory of the Chess Openings which, though better received, was the victim of an act of gross piracy, as many copies forming no part of the edition printed by his orders were circulated in America and the “pirates” never brought to justice. As a Tournament Player, Gossip was the King of Wooden Spoonists – out of the seven Master Tournaments to which he “bulldozed” admission he came last in five and last but one in the sixth, his aggregate score in all six being 4 wins, 52 losses and 21 draws. But in the seventh (the great double-round 6th American Congress, 1889) he put up his best show with 11 wins, 22 losses and 5 draws, and played the one famous game of his career, a brilliant win against Showalter. 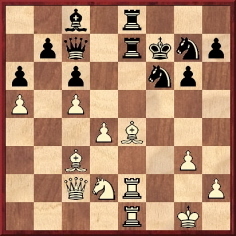 But even here, ill-luck pursued him, for this game, which should certainly have won the “Special Prize for the best played game”, was, to his great chagrin and many other people’s surprise, passed over in favour of Gunsberg v Mason. Reverting to the published statement that G.H.D. 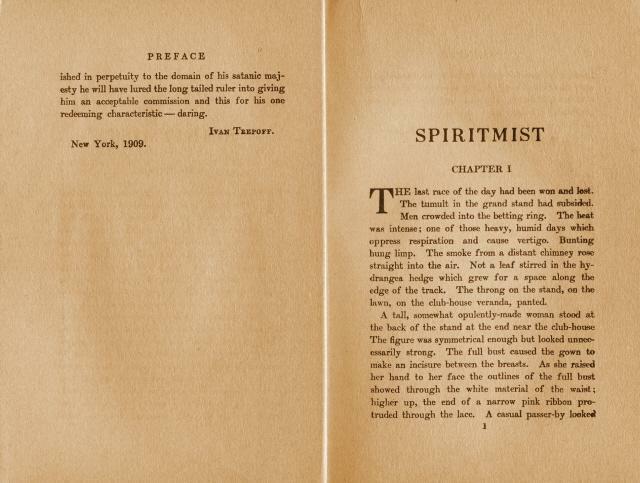 Gossip wrote a work of fiction, The Jew of Chamant, under the name Ivan Trepoff, Frederick S. Rhine (Park Ridge, IL, USA) notes that according to page 1037 of American Fiction, 1901-1925: A Bibliography by Geoffrey D. Smith (Cambridge, 1997) ‘Ivan Trepoff’ was a pseudonym of Herman Arthur Haubold (1867-1931). C.N. 5919 mentioned that Wikipedia (English edition) has an excellent article on Gossip. 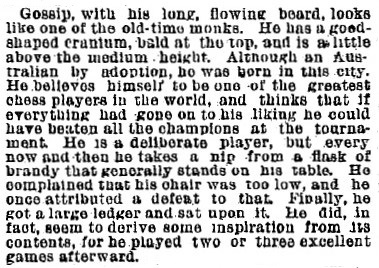 Source: Chess Player’s Chronicle, 27 March 1895, page 27. Latest update: 14 February 2017.